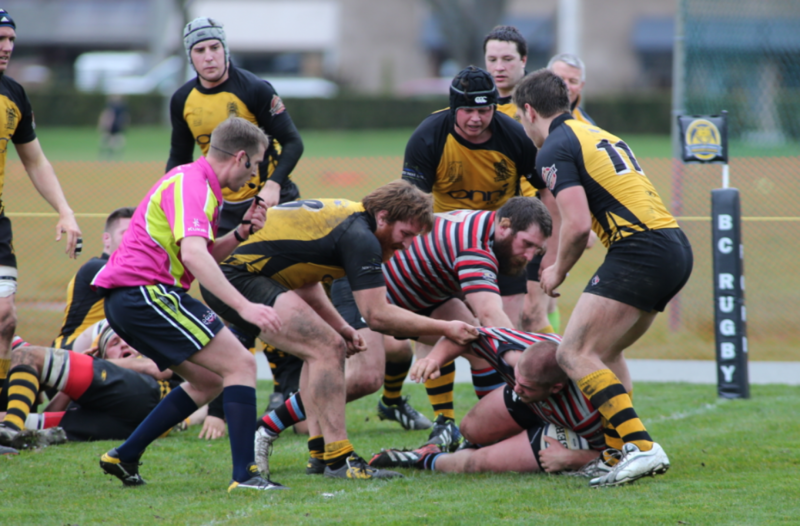 Today we bring readers a couple of human interest stories, going back into our archives for content for one and pilfering a great story from Rugby Canada’s website for the other. Last Saturday in Marseille, Hubert Buydens suited up in a Canadian jersey for the fiftieth time and today we wish to honor him and just shed a small reflection on his achievement. Buydens, born in Saskatoon, will always be “Rider Pride” however in his long stints away from home, be it on rugby fields around the world, a professional stint in NZ, San Diego and most recently, New Orleans or any one of three RWC’s venues, he calls CW his “Home away from Home”. We are very proud to accept the moniker from Hubert. Some four years ago, we did a profile blog on ‘The Moose’ and today we refer to it for a comment or two to relate to his latest achievement, a feat completed by only a handful of players who have represented Canada. CW: What are some highlights of leading a pro rugby life? HB: “It is a good lifestyle. The emphasis is on fitness, skills, technique and preparation. Players work hard but we do have free time which lets you pursue your interests.” "Is there a difference between preparation in N.Z. and the kind of thing that is going on at Westhills?" “Westhills has been great for R.C. Players work hard under guidance and improvement in our National game has been evident. When Canada is on tour, I would say our preparation for each game is even more thorough than perhaps what takes place week in and week out, at The Turbos.” Now Hubert and his teammates have raised the bar once again to go back to the RWC next year. We at CW are very happy that his degree in Sociology pointed him to accept Coach Lindwall’s plea of; “Get out here, we need a prop!” Sociologically insightful of you to respond! This was some eight years ago. (Ed. In fact, 2006). CW: How has the CW experience been? HB: “Excellent. It has been a home away from home – good friends, good support and good competition”. Thanks, Hubert, for your leadership, sharing of your experience and infectious enthusiasm for rugby at CW and with our National team, may you continue with a good rugby career, injury free and again, congratulations on your milestone and best of luck in Japan. Natasha Watcham-Roy announces her retirement from Canada's National Rugby Sevens team and sheds light on the importance of mental health. “After having some time to sit back and reflect since I left the 7s team in August, I am officially honoured to let everyone know about my decision to retire from the National Women’s Rugby 7s Team. The decision was not an easy one for me but in my heart I know it is the right one for my overall happiness. I am thankful for all the amazing opportunities that I have experienced with my teammates and I loved sharing those moments with my family and friends. It is crazy to think that I have been playing rugby for fourteen years and have dedicated my life to achieving my ultimate goal of becoming an Olympian. I have been inspired and encouraged by my friends and family to not just announce my retirement but to take a moment and share my story with you. High performance sport comes with a lot of glory and amazing times but what people don’t see behind the scenes are the challenges that we face day to day. Throughout the 2017-2018 season I kept experiencing these “down days” that I couldn’t explain. I started experiencing changes in my daily motivation and found myself very disconnected physically and emotionally. Rugby, a sport that I loved so much and that had provided me with so much joy, was starting to feel like a chore. When I finally built up the confidence to reach out for help, I was provided with support and resources. I was diagnosed with Depression and Anxiety. After much soul searching I started to realize it was time to take control of my life and stop pretending that everything was always okay because guess what? ..Sometimes it’s just not! I had built up walls trying to protect myself from emotions and pain but those walls had begun to crumble. With the resources provided by Rugby Canada, it seemed to the outside world that I was getting everything I needed to get back on the field, but I still didn’t feel right. I was feeling pressured to get back on the field quickly rather than being encouraged to take the time I needed to heal. That being said, I put a lot of that pressure on myself to return because I did not want to let my teammates down. I was far from ready to go back, it just made my depression and anxiety worse. What we don’t realize as athletes is that our mental well-being is just as important as our physical well-being. Mental health experiences need to be treated with the same respect and support as a physical injury. Whether we like it or not there is still a stigma attached to mental health experiences in high performance sport. Mental health experiences are still not addressed or spoken about and athletes are left struggling alone and in silence. The more we talk openly about mental health in sport the better it will be! Have an open heart and mind and encourage someone struggling to talk to you or a professional. I am thankful to my friends and family who were there to support me through my darkest moments, it made the process of accepting myself much easier. CW wishes this young lady all the best with her future endeavours and offers our sincere thanks for her sharing of her pathway. CW would like to congratulate the UBC Thunderbirds on their first place finish after defeating Queens in a tight match, the Birds breaking out in the second half to finally get on top. The final two games were played yesterday in front of a very good crowd at Centennial Stadium. In the earlier match for third and fourth, UVic Vikes also managed to get on top of Concordia in the second half, aided by an electrifying breakout from CW Jr Alum, Brennig Prevost, beating Concordia for the bronze medal. UBC will play Ravens in BC Premier action next week, a match which will have many CW eyes on the results, after the Ravens flexed their muscles big-time against a strong Westshore outfit last Saturday.